Incredibly busy, but great! It is invigorating to be surrounded by so many talented classmates and instructors. I've scraped more web pages and queried more APIs than I care to count, and I'm getting to know the workings of scikit-learn very well. I am concurrently serving as a teaching assistant for the first eight weeks of the bootcamp. So I've been able to share my love of groupbys, merges, and facet plots with my fellow classmates. Hopefully a swift return to the world of the gainfully employed after the bootcamp finishes in September, but beyond that, I can't say for sure. 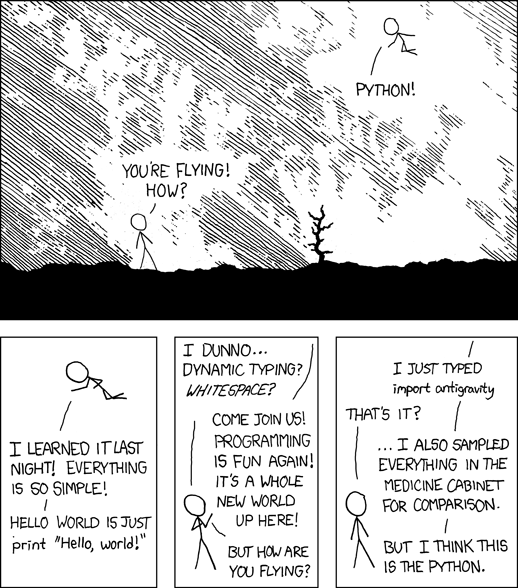 In the meantime, rest assured that I'll be writing lots of Python code.